…at … Westin Grande Sukhumvit, Bangkok, 8.00 pm, Saturday 11 August, 2018 … you really want to be there! “Greg Fleet is one of the best comedians in the world ever” – Stewart Lee. 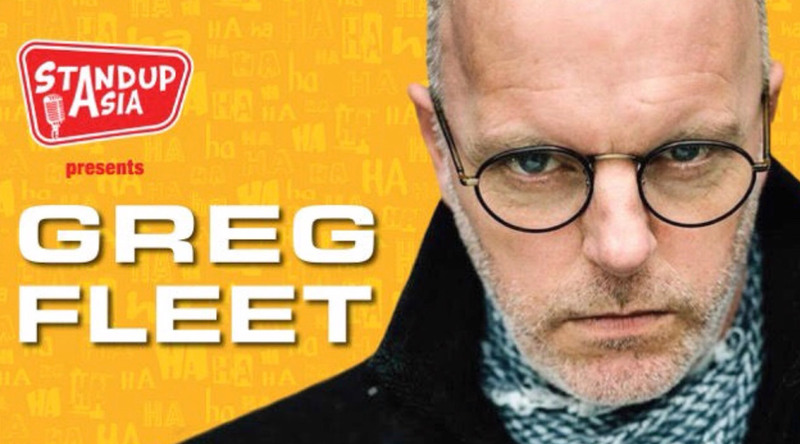 Announcing Stand up Asia’s next show in Bangkok on Saturday August 11. featuring top Australian actor and stand-up comedian Greg Fleet. This comedy show promises to be one of the best Bangkok has ever seen and will be held the luxurious Westin Grande Sukhumvit (BTS Asoke, exit 5). Greg Fleet is certainly one of Australian;s most highly respected stand-up comedians, achieving accolades and 5-star reviews from around the globe on his world tours. Besides creating and starring in Netflix shows with Jim Jeffries, he has shared the stage with Nicole Kidman, starred as Dave Summers in Australia’s popular soap opera Neighbors ( and killed Daphne) and has written and performed in 26 Melbourne International Comedy Festivals. Standup Asia is a Singapore-based company which organizes comedy festivals and events in Asia. It has brought international headliner comedians such as Jimmy Carr, Doug Stanhope and Billy Bailey, among many others, to the vibrant, multicultural audiences in the region. Events sponsors include Hongkong Tourism Board, Singapore Tourism Board, Marina Bay Sands Singapore, and Westin Hotel and Resorts.